It was one of the most ambitious, failed promotional stunts in the history of video games. 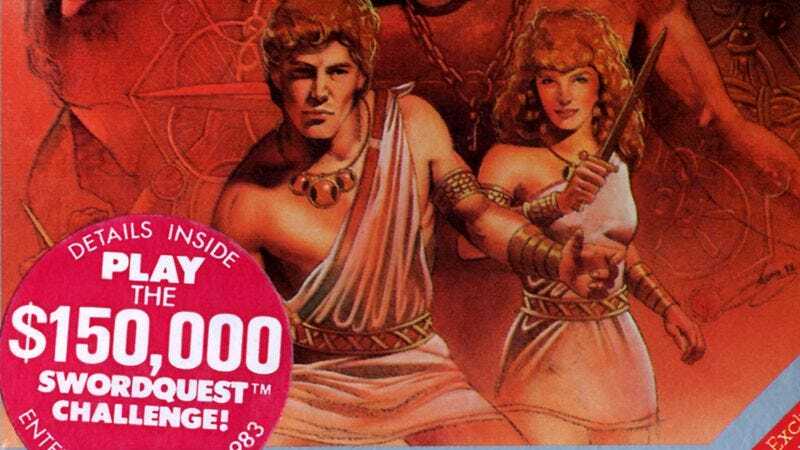 In the early 1980s, Atari invited players of its Swordquest franchise to search through the fantasy adventure games for clues to a larger mystery. Those who correctly deciphered the clues would be summoned to Atari headquarters, where they would compete to win some expensive, real-life treasures, including a chalice, a talisman, and a crown, all forged from precious metals and bedecked with jewels. The winners of the four individual rounds were supposed to compete in a tournament of champions with a $50,000 sword as the prize. In total, Atari’s treasures were said to be worth $150,000. But then proposed four-game series was canceled in 1984 before it reached its conclusion, and the contest died out with it. So what happened to the Swordquest treasures? Eric Grundhauser has some answers in a new article for Atlas Obscura.